"Flow is the mental state of operation in which a person in an activity is fully immersed in a feeling of energized focus, full involvement, and success in the process of the activity." What amazes me is that in art the result of flow is obvious. The amount and the result of me being in a state of flow is magic. When painting this girl I was not in a state of Flow. I was pondering about how to get there and how obvious the difference is when working if I am in a state of Flow or not. I will definately get back to this in future posts. It is a subject that really interest me! 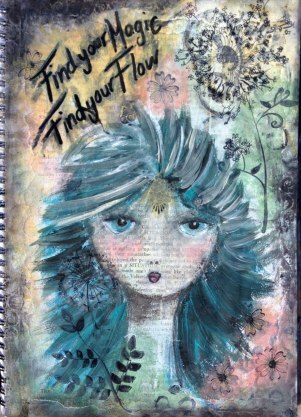 Hope you find your Flow and Magic!